Description: Auto Race, Chicago Coin, 12/74, two players, shot ball to advance car around track, 8-track tape player sound. Single player plays against the clock and the two players play against each other. The object is to get around the track the quickest. 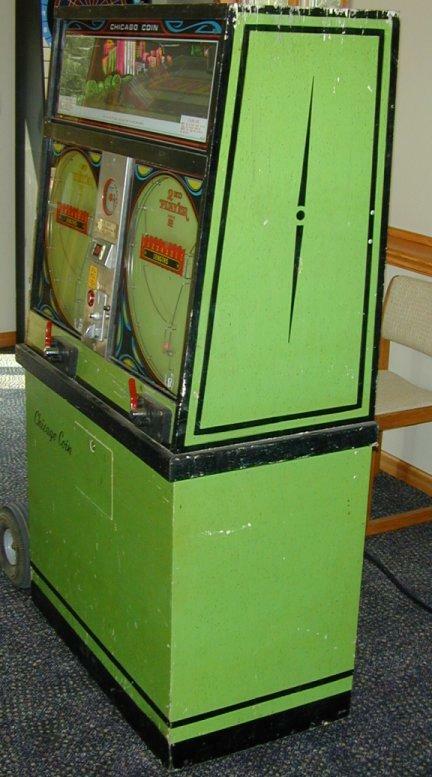 The slots where the ball falls through determine how far the player's car moves. 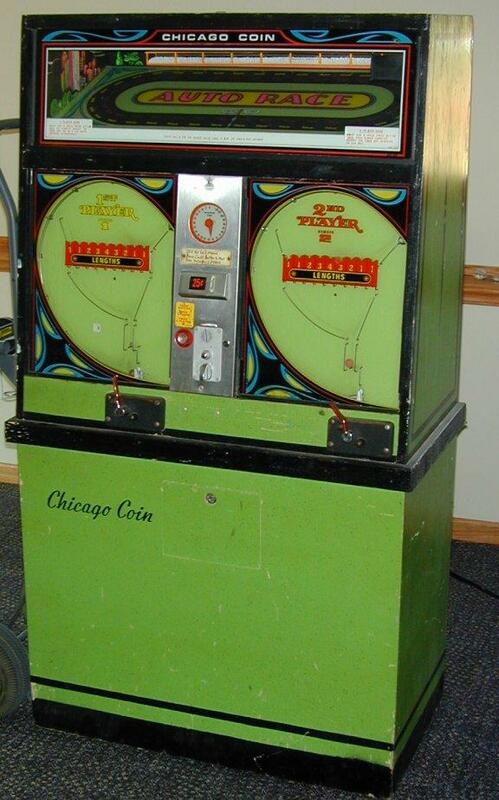 Chicago Coin also made an identical game called Turf Club that was a horse theme. The manuals and schematics are identical.